On July 15, 2015 USCIS announced that it mistakenly issued approximately 2,100 employment authorization cards to DACA recipients that were printed with a three-year validity period instead of a two-year period, following a court injunction prohibiting USCIS from doing so. To correct the error, USCIS sent these recipients a notice of intent to terminate deferred action and employment authorization. The letter describes that the three year employment authorization cards received after the injunction, are no longer valid and must be returned to USCIS by July 27, 2015 due to a federal court order Texas v. United States, which prohibits USCIS from issuing deferred action for a period exceeding 2 years. USCIS also issued about 500 three year EAD cards to DACA applicants who were approved before the court order was enforced. These cards had been returned to USCIS as undeliverable by the United States Postal Service and were re-mailed to an updated address after the injunction went in effect on February 16, 2015. Due to this, these 3-year EAD cards are also deemed invalid. As a result of the court order, USCIS is authorized to adjudicate deferred action requests for only a 2 year period. 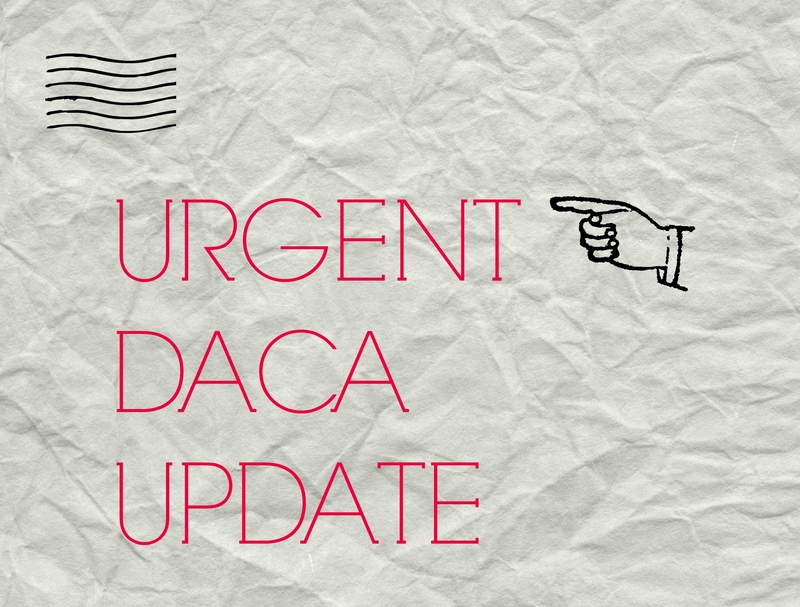 The records of DACA recipients who received deferred action for a 3-year period after February 16, 2015, have been corrected to reflect only a 2-year period of deferred action and employment authorization. Additionally, USCIS has issued these applicants new 2-year approval notices and new employment authorization cards reflecting the 2-year validity period, to replace the now invalid 3-year cards. Applicants who have not yet received their 2-year replacement EAD cards are still required to return their now invalid 3-year EAD cards as soon as possible. Applicants who fail to do so, will risk losing their deferred action status, employment authorization privilege, and will place future requests for deferred action in jeopardy. If you have not yet received your 2-year validity EAD card you should contact the USCIS National Customer Service Center as soon as possible by dialing 1-800-375-5283. USCIS will be carefully monitoring the number of returns it has received and take action to collect remaining 3-year EADs that have not been returned to them. Individuals who fail to return their 3-year EADs by July 27, 2015 may be contacted by phone, in-person, or visited at their homes. You can return your 3-year EAD card and approval notice ON OR BEFORE JULY 27, 2015 between 9:00 AM and 3:00 PM by visiting your nearest field office. If you choose to return your 3-year EAD card by mail it must be received by USCIS no later than July 27, 2015. What if the 3-year EAD card is no longer in my possession? Do I still need to contact USCIS? If your 3-year EAD card is no longer in your possession because it has been lost, stolen, destroyed, or never received you must sign and provide a valid photo ID and sign a certification showing that you have good cause for not possessing your EAD at your local field office or by mailing the signed certification with a copy of your valid photo ID to the address above. NOTE: DACA recipients who received 3-year EAD cards that were approved and mailed by USCIS on or before February 16, 2015, the date of the injunction are NOT required to return their EADs if they were not returned by the USPS or reissued.